If you have suffered an accident on the job, or you have a family member or friend who has been injured at work, you need to know your rights , and you need to take steps right away to ensure that your workers’ compensation claim is successful. Question:I’ve been injured at work. What should I do? Immediately notify your supervisor of your injury. Explain how you were hurt, whether you were carrying/moving anything, bending/twisting, identify any witnesses, and so forth. These details may well become important later. Request that an accident report be completed. While the law grants you thirty days to notify your employer of an accidental injury, the sooner you tell your supervisor of a work related injury, the better. For occupational disease claims, you must give your employer notice when you learn that you contracted a work related occupational disease. Inform your supervisor as to what you were doing when injured, and the nature of your injury. Keep your employer informed as to how you are progressing medically, and make copies for your employer of any doctor’s notes taking you out of work or giving you light duty restrictions. This will help defeat any allegation by your employer that your injury was unreported or that it wasn’t sustained at work. Your employer should also be filing an injury report with the Virginia Workers’ Compensation Commission. You will also need to file your claim with the Virginia Workers’ Compensation Commission (not just your employer and their insurance carrier) within two years from the date of your accident to protect your rights unless the Commission has already entered an award. The Moses Law Firm focuses exclusively on workers’ compensation claims…nothing else. We are dedicated to securing workers’ compensation benefits for our clients with workplace injuries. Attorney Brenda Moses has over 14 years of experience successfully handling workers’ compensation claims in Southwest Virginia. She knows the workers’ compensation system inside and out. She will stand up for your rights and will fight to win you the benefits that are rightfully and legally yours. Although the system is supposed to protect injured workers, unfortunately it is common to encounter problems throughout the workers’ compensation claims process. The insurance company may try to take a recorded statement from you before you have had a chance to consult with an attorney, and their lawyers can use many arguments to try to deny your workers’ compensation claim. They may argue that your injury was not work related, did not occur in a manner that would be covered under workers’ compensation, or was not properly reported to your employer. You may have difficulty obtaining adequate medical care, or you may be told to return to work while you are still in pain. Without an experienced attorney to represent you and your claim, you will probably find yourself at a disadvantage against the insurance carrier and their lawyers. An experienced workers’ compensation lawyer will represent you and work with you every step of the way to protect your interests and make sure that you receive the benefits that you are entitled to under the Virginia Workers’ Compensation Act. Attorney’s fees for injured workers are regulated by the Virginia Workers’ Compensation Commission and are only paid on a “contingency” basis. This means that you will not pay any attorney fees unless and until benefits are recovered for you. 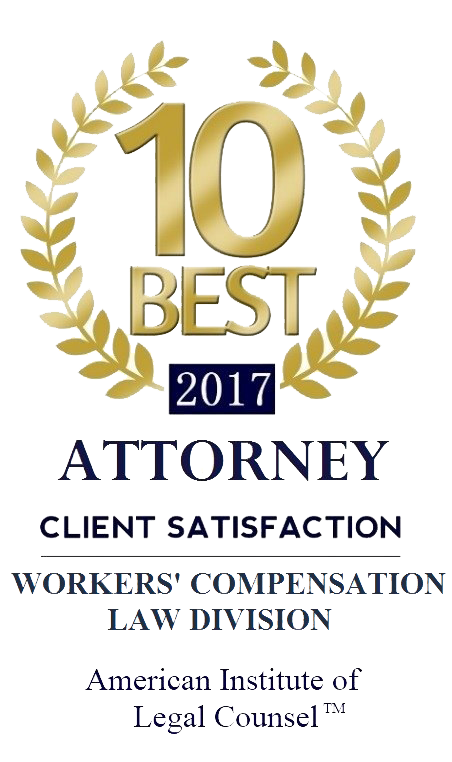 We provide free consultations, so please contact us to discuss your case and learn more about the Virginia Workers’ Compensation system. We want to help you obtain the benefits you rightfully deserve.